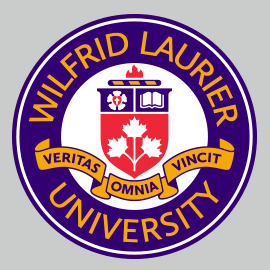 I. Wilfrid Laurier University's fiscal policy is a balanced operating budget where total cash revenues are balanced against total cash expenses. The maintenance of a balanced budget may be achieved through the use of fund transfers; moneys may be appropriated from such funds as "the operating budget stabilization reserve," carry forward funds from the previous fiscal year, ancillary funds, and surplus moneys from previous fiscal years. II. Wilfrid Laurier University's fiscal policy is a balanced ancillary budget where total cash revenues are balanced against total cash expenses. For purposes of clarity, the aggregate of all ancillary budgets are to be balanced on a cash basis recognizing that individual budgets may not be in a balanced position from time to time. Appropriations to the operating fund and to the capital fund are permissible whereas the reverse is not. III. Wilfrid Laurier University's policy is that long term projects are planned in such a way that cash expenditures are balanced against cash revenues. IV. Notwithstanding parts I and II, should an operating deficit occur as a result of extraordinary circumstances, it must be repaid either in the following fiscal year, or over a multiple-year period, subject to a plan submitted by administration that has been approved by the Board of Governors.